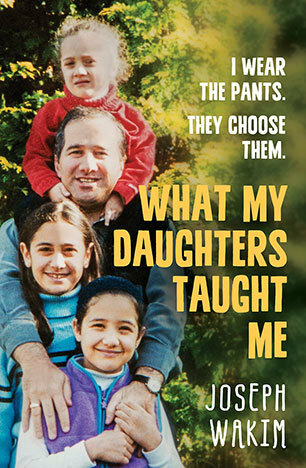 What My Daughters Taught Me is a heart warming memoir by Joseph Wakim who found himself the sole parent of his three young daughters when his beloved wife, Nadia, passed away after a short battle with cancer. ‘Amazing’ Grace, ‘Ma Belle’ Michelle and Joy ‘to the World’, each named after song’s favoured by Joseph and his wife were just eleven, nine and four when they lost their mother. Despite his overwhelming grief at losing his soul mate, Joseph vowed to be both father and mother to their girls. With humour, honesty and faith derived from his Maronite church (he is a Maronite Catholic), Joseph learnt to cook, use conditioner on tangles, braid hair, referee bathroom wars, peg out laundry at the speed of light, and gracefully submit to his daughters fashion stylings. He nurtured his daughters’ love of dance and music (starting a band called Heartbeats), helped them study, and taught them to drive. Sharing the details of his courtship with his wife, and her painful demise, as well as providing a glimpse into his past as part of a large Lebanese immigrant family, Joseph writes of grief, love, family and life’s roller-coaster. To ensure financial stability for his family, Joseph moved from social work, having been responsible for the Streetwork project in Adelaide and having been awarded an Order of Australia medal in 2001, into business. He founded the Australian Arabic Council, was once the former Victorian Multicultural Affairs Commissioner, but now writes regular opinion pieces about human rights issues. He authored Sorry We Have No Space, a finalist for the Australian Christian Book of the Year, in 2013 about racism experienced by Arabs in Australian. However this book is not about his professional achievements but about his greatest personal accomplishment – raising his daughters with love, wisdom and faith. It has been twelve years since Joseph lost his wife, and their family is thriving. His daughters are beginning to establish their independence, and Joseph is proud of the role he played in shaping the women they have become. 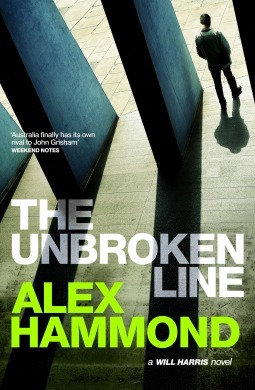 The Unbroken Line is Alex Hammond’s second legal thriller featuring defence lawyer Will Harris, following on from his Ned Kelly Award nominated debut, Blood Witness. Will is still dealing with both the personal and professional consequences of the events in Blood Witness, when he and girlfriend Eva are brutally attacked by two masked men. They have a message for Will from their anonymous employer – back off. Angry and confused, Will has no idea what the men are referring to, but now he is determined to find out, and unwittingly becomes the target of a deadly conspiracy, headed by Melbourne’s elite. With a well crafted and complex plot, The Unbroken Line is a fast paced story of corruption, violence, conspiracy and vengeance. As Will searches for answers to the attack on he and Eva, he must also defend his new law firm partner, barrister Chris Miller, when he is arrested for negligent homicide, prevent a judge’s teenage son from being charged with manslaughter, and repay his debt to the Ivanics family, all whilst under investigation by the Legal Commissioner for ethics breaches related to his actions in Blood Witness. With some surprising twists, Hammond reveals the links between these seemingly unrelated threads developing an exciting multi-layered storyline. Will is an appealing protagoinist, flawed but intelligent, with a strong sense of justice. Under siege professionally, Will is faring no better in his personal life. He is still struggling to recover from the debilitating physical effects of the vicious stabbing that left him near dead in Blood Witness, and Eva, traumatised and scarred by the masked men’s attack, flee’s to New York. Though The Unbroken Line could be read as a stand alone, I’d recommend readers begin with Blood Witness, which establishes his relationships with Eva, Chris and several of the other other characters that appear in both novels. I enjoyed The Unbroken Line, it is a well crafted and gripping legal thriller. 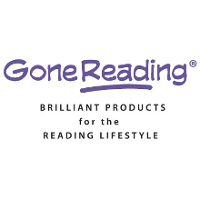 Perfect for fans of John Grisham and Michael Connelly. 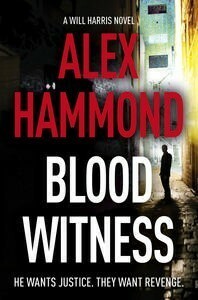 Alex Hammond was born in South Africa and emigrated to Australia with his family as a child. 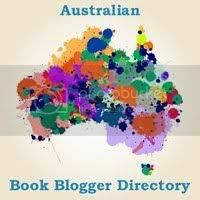 He graduated in Law/Arts from Melbourne University in 2001 and worked for several leading law firms. Although, ultimately, the law didn’t take, he was exposed to many of the superstitions and sects of the profession and found himself fascinated by the culture, passion and grey moral world that lawyers inhabit. The Unbroken Line is Alex Hammond’s second stand alone novel legal thriller featuring Melbourne lawyer Will Harris, following on from his Ned Kelly Award nominated debut, Blood Witness. “The violence of the past casts a long shadow – a dark legacy with lethal consequences. When defence lawyer Will Harris is attacked by masked men with a clear message to back off, he has no choice but to listen. If only he knew what they were talking about. Under siege as his fledgling law firm struggles to get off the ground, Will agrees to defend the troubled son of a family friend. But the case is far from clear-cut, and the ethical boundaries murky. Instead of clawing his way out of trouble, Will finds he’s sinking ever deeper. My review of The Unbroken Line can be seen HERE, but first please read on for an excerpt of this exciting new thriller. It had been six weeks, almost to the day, since he’d had a drink. Remembering the last glass summoned images of that desperate night – the blade glinting under streetlights before it rose again, steaming with his blood in the winter air. ‘It must feel good to be out of that wheelchair,’ Eva said, no doubt seeing the veil of memory descend across his face. The restaurant had been Eva’s idea – a date to reboot the fraught circumstances of their meeting; a balance against her holding his wounds closed until the ambulance had arrived. Around Will, the other diners were talking and eating artfully arranged meals on oversized plates lying on bright, starched tablecloths. He drained the glass in his hand and focused his attention on the woman sitting in front of him. Her dark hair was lifted up off her shoulders while her fringe was swept into a wave. Her olive skin contrasted with her yellow silk dress. Its low neckline suggested something of the tone she’d set for the evening. She smiled at him. He could bask in her warm gaze forever. To simply sit here, with her – that would be reward enough, for everything he had overcome. And yet he couldn’t help himself from speculating, from fantasising: the two of them carrying her boxes into his apartment; her hand clutching his at her first major exhibition; drunk nights and late mornings as the world was reduced to the circumference of their arms. ‘So let’s cut to the chase, champ,’ Eva said, clearing the glassware in front of her so she could reach a hand out to his. As she leant for- wards the light from the candles glowed in her eyes. Her lips parted, revealing the gentle upward curve at the edges of her mouth. ‘Now that you’re out of that wheelchair and able to drive a girl to a fancy dinner, is it safe to say you’re officially ‘able-bodied’?’ she whispered. ‘Oh, you don’t know the half of it. Amends are barely the beginning.’ Her foot tapped on him as though she were distracted by some other thought. ‘Glad to see that I have your full attention.’ Eva winked. ‘I don’t know. Because it’s seductive?’ She broke into laughter. ‘What’s wrong with you?’ He grinned back at her. ‘Thanks,’ said Will, trying not to blush as Eva’s toes drummed across his erection. ‘No problem,’ Will replied. ‘Could I grab an espresso? Sorry, two,’ he corrected, as Eva held up two fingers. ‘What a terrible dilemma,’ Eva said, smiling. As they crossed the car park, Will had to struggle to keep up. Even though he’d performed his exercises daily, moving was still a painful effort. His physiotherapist had reiterated to him the seriousness of the damage – his abdominal wall had been significantly traumatised; with his core injured, he would find even basic movements challenging. Although he was out of the wheelchair it would be months before he could start to think about any strenuous activity. As Eva swayed in front of him, her dress gripping the contours of her body, it occurred to Will that even though he’d spent so many hours with her, grieved with her, almost died beside her, he was deeply nervous about the raw, animal truth of their compatibility. Eva leant back against Will’s car, yellow outlined against the British racing green of the vintage Jag. Will kissed her again as he pulled the car door open. Eva drew herself away from him and slid into the passenger seat. He moved as quickly as he could to the driver’s side and got in. ‘Are you okay to drive?’ she said, fastening her seatbelt. To their left was a steep bank leading down to the Yarra. A lone vessel, a party barge, drifted down the river. Flashing lights silhouetted its revellers and lit up the craft like a garish lantern on the dark water. To their right were old mill stacks, decaying warehouses and other modern ruins. With the streetlights passing overhead and Eva’s head leaning against his shoulder, Will felt at peace. He’d almost forgotten what this satisfied calm felt like. 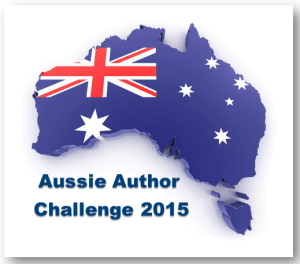 Eva started to hum to herself as he merged into the traffic that led to the Domain Tunnel. ‘What’s up?’ she said, no longer humming. ‘What is it?’ she asked, straightening in her seat. ‘Something’s wrong,’ he said, pulling the Jag into the passing lane and accelerating. But it’s the only possible explanation, he thought. Will weaved around another car as the tunnel enveloped them. The bright strip lights raced overhead as the car started to shudder, mirroring the shaking of Will’s hands on the steering wheel. The SUV was just behind them. A truck was looming in front of them. They were about to be boxed in. Will’s foot was on the floor; the accelerator had nothing left to give. The SUV hustled forwards, its black bonnet glistening under the tunnel lights. The SUV hit the back of the Jag. The shuddering movement thrust Will and Eva forwards, seatbelts straining against the collision. Will’s hands tightened around the wheel as he struggled to keep the car on the road. He slammed on the brake, hoping to tear them loose. The larger vehicle rammed them sideways, the concrete of the tunnel wall shredding the Jag’s passenger side. Its windows burst, shattering glass throughout the car. The Jag spun free from the SUV and turned side-on to the road, tyres stripping rubber. Will tried to shove the buckled car door. It didn’t budge. Steel locked on steel. It took only seconds and his head smacked on the concrete. With blurred vision came memory loss – adrenaline and pain confusing the exact circumstances of his hitting the ground. All he knew was that dark eyes stared down at him through a black balaclava. The man was kneeling on Will’s chest. ‘Got your attention?’ the man barked. Between the concrete and the blow Will didn’t know what had happened. His eyes rolled back into his head. He’d been KO’ed in the boxing ring before but never like this. The back of his head felt as though it had been engulfed by the ground while the warmth of his own blood was now flooding across his face. Slowly and deliberately the other man dragged the blade of a knife down both of Eva’s cheeks. At first it was as though nothing had happened but as the seconds passed, thin lines of deep red began to appear, giving way to a full flow. Eva didn’t scream. Not at first. Only when she touched her face and her hands came back glistening. Both men turned and ran. Beneath the warning lights a crowd had gathered. They all watched as Eva’s dress turned from yellow to red. Set in the Blue Mountains of New South Wales Palace of Tears is a generational saga of family, passion, secrets and vengeance from debut author Julian Leatherdale. The shifting third person narrative unfolds from the perspective of several characters, Angie and her mother Freya; Adam’s wives, Adelina and Laura; Laura’s daughter, Monika; and in the present day, Lisa, Monika’s daughter. Only briefly do we hear from Adam Fox, the owner of the Palace and the man who connects these three generations of women. Lisa’s interest in the past is triggered when, during a visit with her ailing mother, Monika laments the mysterious fate of Angie, the ‘girl who broke Adam Fox’s heart’. The name is unfamiliar to Lisa and curious she decides to investigate, contacting Palace historian Luke Davis. Over the course of the novel, Leatherdale unravels a family history marred by untimely death, adultery, betrayal, heartbreak and revenge. What became of Angie remains a mystery til the very end with a surprising twist. Leatherdale firmly grounds his fictional characters in time and place. Adam Fox’s Palace is modeled on the Hydro Majestic Hotel, opened in 1904 in the tiny township of Medlow Bath in the upper Blue Mountains and he ably describes the opulence of the hotel and the magnificence of the setting. 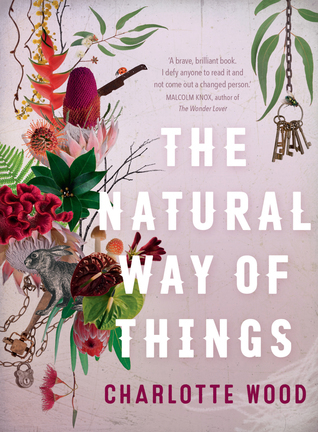 The author also references several relevant historical events of the first half of the twentieth century from the wartime internment camps, to the deadly influenza outbreak that swept New South Wales, to Arthur Conan Doyle’s Antipodean tour, enriching the story with intriguing detail. 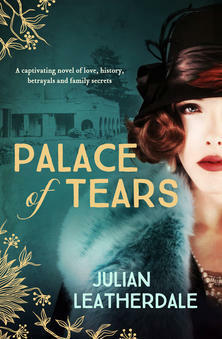 Melding history and fiction, Palace of Tears is an entertaining novel and an impressive debut from Julian Leatherdale. Even though I am one of the very few book bloggers with no real ambition to write, I can appreciate the wisdom Fiona McIntosh imparts in ‘How To Write Your Blockbuster’, offering practical, no nonsense advice for aspiring writers. McIntosh insists discipline is an essential skill for a writer. She encourages dabblers to set themselves up to succeed by developing good working habits and understanding what it is they want to write. Whether you are a ‘plotter’ or a ‘pantser’ she has practical advice for getting started. I really like her ‘word count equation’, it seems to me that the idea would make the process of writing a first draft much less intimidating. McIntosh then goes on to discuss technique in developing character, plot, dialogue, pacing and exposition with reference to what she has learned in her own work. Each chapter is also accompanied by exercises to complete. For those with a completed manuscript, McIntosh advises writers on the next step, including presentation and submission to Australian commercial fiction publishers, and shares knowledge about what might come next for those lucky enough to see their book in print. 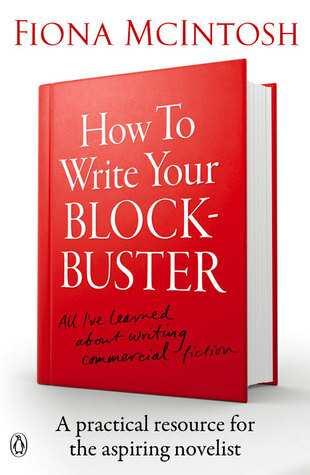 ‘How To Write Your Blockbuster’ is a solid resource for a fledgling writer from a talented and accomplished commercial fiction author who writes across several genres. Make sure your browse Fiona McIntosh’s extensive oeuvre – my favourites include The Scrivener’s Tale and The Lavender Keeper. 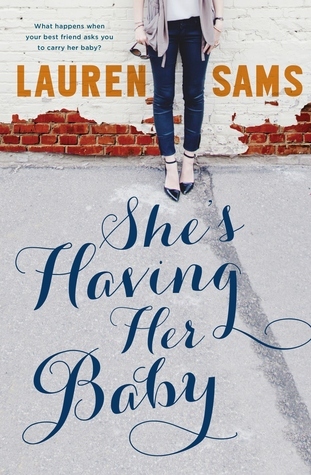 She’s Having Her Baby is a funny and bittersweet debut chick lit novel from Lauren Sams. Life doesn’t always go to plan and in She’s Having Her Baby the plot doesn’t quite develop as the reader may expect. Sharply observed, the author explores the themes of infertility, surrogacy, motherhood and friendship in a manner that is funny, poignant and compassionate. I found Georgie to be an interesting character, she definitely has her flaws, being somewhat inflexible and self absorbed, but she is amusing, feisty and loyal in her own way. 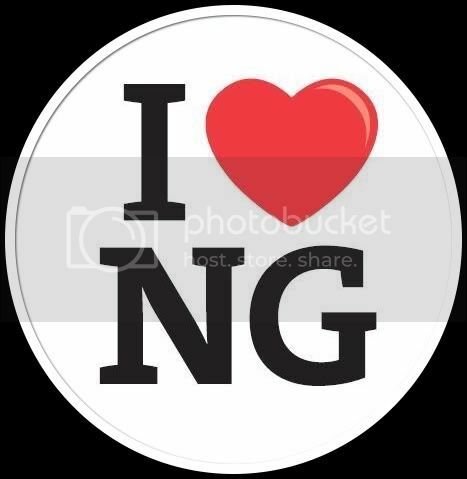 I admired Georgia for deciding to help Nina, though I think choosing not to have children for whatever reason is a perfectly valid decision, and though Georgia doesn’t cope particularly well when things don’t work out as expected, including with her relationship and career, she eventually pulls it together. I’ve witnessed the toll infertility can take on the soul, and relationships, and I really felt for Nina, her desperation is authentic and moving. I laughed out loud at the passages describing the parenting styles of Ellie and the mothers at the playground. Those type of ‘helicopter’, holier than thou parents drove me crazy when my children were babies so I agreed . It’s not like I let mine play with knives or fed them a steady diet of McDonalds but they watched ABC Kids, ate jarred baby foods and wore disposable nappies, and let me assure you they are all bright, healthy and happy children. The writing is of a good standard, the dialogue is natural, and humour is used to good effect, without undermining the more serious issues. The pacing works well with some surprises in the plot and a conclusion that is satisfying but not too neat. I enjoyed She’s Having Her Baby, I found it to be both an entertaining and touching novel tackling issues relevant to the modern woman. 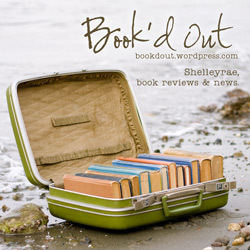 Lauren Sams is a debut author with promise.